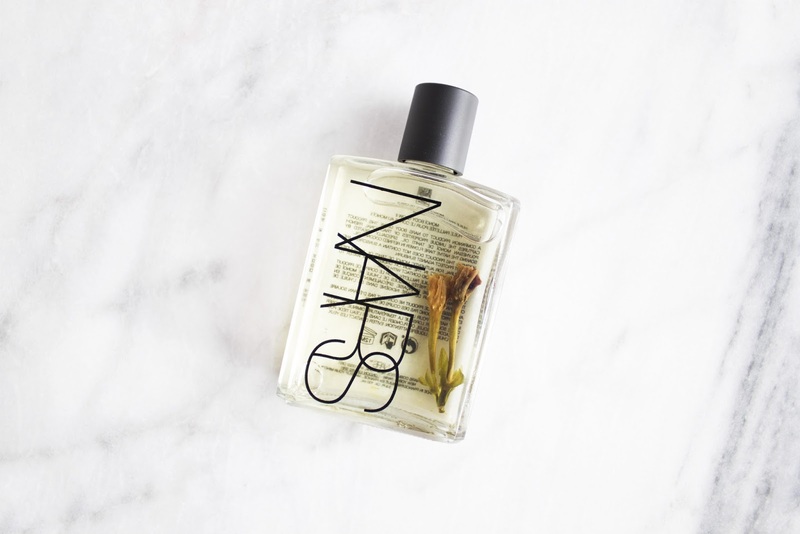 The Monoi Body Glow II (2.5 oz, $76 cdn) by Nars is a multi-purpose beauty oil that I have been lusting over for months. Recently, I was perusing the aisles of winners and a couple Nars products caught my eye. I rarely see this brand at winners, let alone finding a bottle of Monoi Body Glow II at a price of $19.99 cdn! Costing almost a forth of the original price, I decided to finally pick a bottle up to see what the hype was all about. If you’ve been following my past posts, you’ll know how much I adore beautiful packaging. 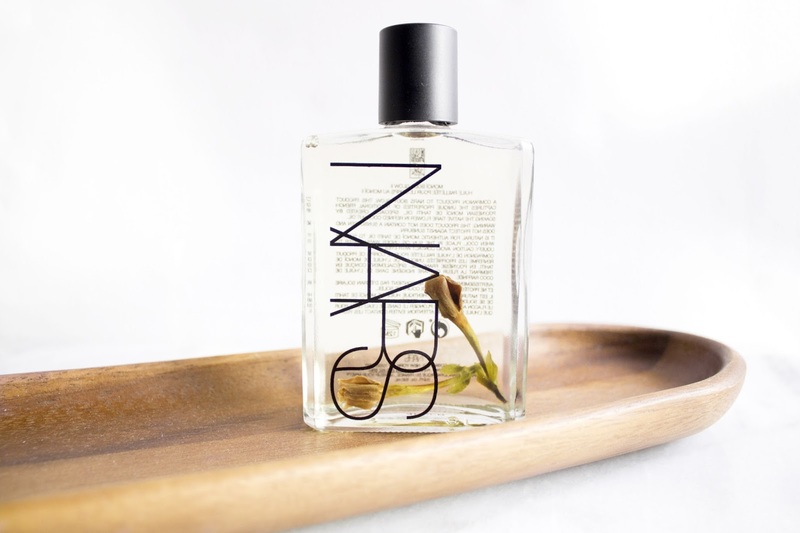 The Nars body glow is luxe in a bottle. Made of glass, the simplicity of the packaging with the original flower submerged is aesthetically pleasing. There is a simple twist of lid that allows a free flow of product. I generally stray away from beauty oils as I dislike that greasy feeling most oils leave after application. I was surprised when I first tested the Monoi Body Glow II and noticed this oil had no residue after applied. 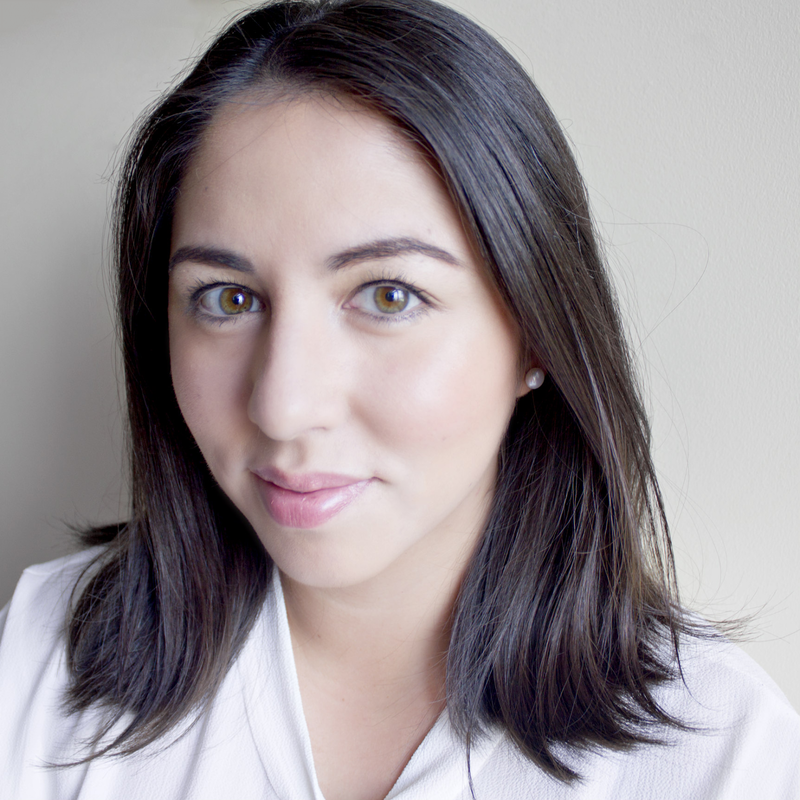 It created a beautiful and subtle sheen that made my skin look healthy rather than greasy. The oil can be used as a body moisturizer or even in your hair. The oil keeps my skin moisturized and smelling divine. 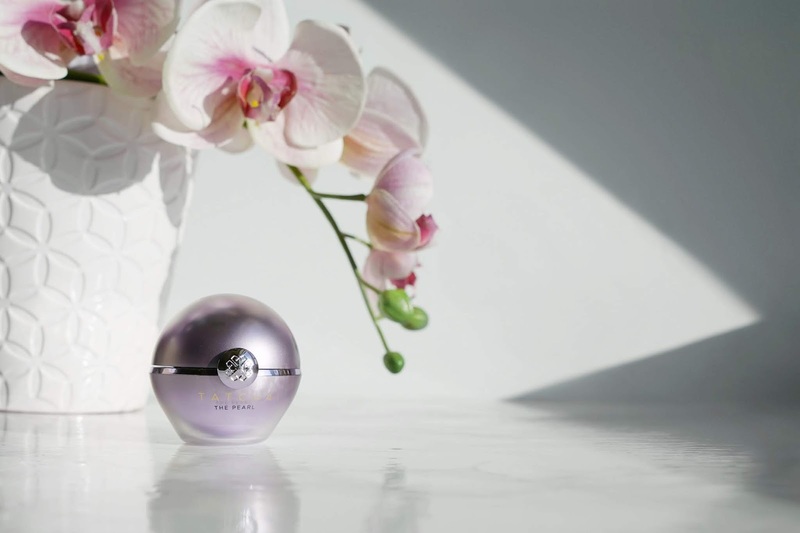 The fragrance is actually incredible and when I close my eyes, I am whisked away to a warm summer day somewhere on a deserted beach. The body glow II has been helping me transition into spring. It is getting me super pumped from the warmer days ahead and keeping my skin looking healthy and happy. I’ve been obsessing over this oil for quite some time now and am happy I finally have a bottle to myself. I cannot wait until my next vacation so I can bring this pretty little bottle of heaven with me! In a heartbeat; I want to pick up a bottle of Body Glow I as well! 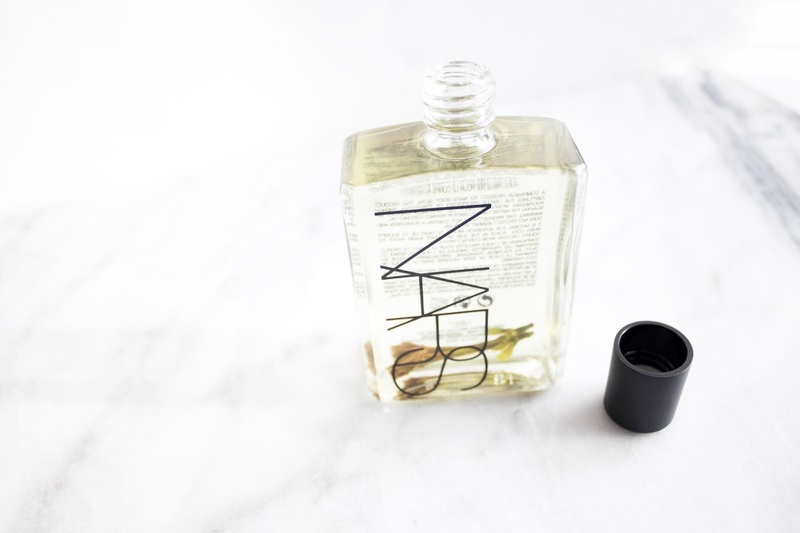 Have you tried the Nars Monoi Body Glow I or II? This sounds so good and it looks amazing! I don't usually use body oils or heavy scented body products in general, but I might give to a sniff when I stumble upon it. This sounds amazing as I don't like greasy oil either! I didn't know Nars was starting to do bodycare products! I didn't see this when I was in Sephora last year, is this a new release? I have never tried scented body oil before but I do love body oils in general. Will give it a sniff if I see it. This sounds amazing, must try it! Looks so beautiful too!